In distinguishing the emic view of zombification from possible pharmacological explanations, we have only begun the inquiry. It is one thing to outline the nature of a belief system, but quite another to understand how that belief system affects the individual believer. It is well known, for example, that no psychoactive drug produces a uniform effect in different individuals, or even in the same individual at different times. What the individual perceives from the particular experience will depend not on the drug alone but also on other factors: the mood and setting of the experience; his or her physical and mental state, as well as that of any companions; and his or her expectations, which in turn are based on a rich repository of folk tradition and belief. The drug itself will induce a powerful but neutral stimulation of the imagination; it will create a template, as it were, upon which the user's own cultural beliefs and psychological condition may be amplified thousand times. Therefore, as important as the pharmacology of a particular substance is the set of expectations that the individual brings to the experience. An emic analysis of the zombie phenomenon should make it clear that the Haitian peasant believes that zombies do exist, fears becoming one, and recognizes that the machinations of the sorcerer, if not detected and neutralized, can indeed lead him or her to such a fate. An individual thus cursed would presumably respond with a mixture of fear and rage, which if not relieved by the successful intervention of a houngan could readily turn to despair. To what extent could that psychological condition influence physical well-being and mediate the effect of the sorcerer's spell and perhaps the pharmacological efficacy of the zombie powder? Possible answers to this question are suggested in the voluminous medical and anthropological literature on psychogenic illness and/or death. It has been recognized that, just as an individual's illness may have a psychosomatic basis, it is possible for a closed society to generate physical ailments and conditions that have meaning only within the mental belief structure of its members (Eisenbruch 1983). The word psychosomatic, of course, does not mean "fake"; it is derived from the Greek roots psycho and somatos meaning mind/body, and just as psychosomatic medical symptoms have an objective reality, so do culture-bound psychological syndromes. Examples of these last would include anxiety states such as koro in Southeast Asia or susto in Latin America; hysterical disorders, including the Japanese latha phobic states of oppression by the evil eye in Mediterranean and Islamic cultures; depressive reactions such as the windigo psychosis found among the northern Cree and Ojibway; dissociative states including Hsieh-ping, the Chinese double sickness; and amok, the acute homicidal form of mania found among the Malays (Kiev 1972). By the same token, sorcery by curse or hex is fully capable of generating an incapacitating anxiety which, if not relieved, can manifest physical symptoms (Farmer and Falkowski 1985; Cappannari et al. 1975; Golden 1977; Gomez and Carazos 1981; Mathis 1964). stands aghast, with his eyes staring at the treacherous pointer, and with his hands lifted as though to ward off the lethal medium which he imagines is pouring into his body. His checks blanch and his eyes become glassy and the expression on his face becomes horribly distorted... He attempts to shriek but usually the sound chokes in his throat, and all that one might see is froth at his mouth. His body begins to tremble... he sways backward and falls to the ground... writhing as if in mortal agony. After a while he becomes very composed and crawls to his (shelter). From this time onwards he sickens and frets, refusing to eat and keeping aloof from the daily affairs of the tribe (Basedow 1925, cited in Cannon 1942, 172). At this point only the nangarri, or tribal leader, can save the curse victim by initiating a complex ritual. But should the nangarri refuse to cooperate, the victim might, in fact, die. Similar reports of death by sorcery come from Australia, South America, and Africa, as well as New Zealand, certain regions of the South Pacific, and Haiti (Cannon 1942; Mauss 1926). Anthropologists refer to the phenomenon as "voodoo death", and its basic pattern is cross-culturally consistent. An individual breaks a social or spiritual code, violates a taboo, or for one reason or another believes himself or herself a victim sorcery. Conditioned since childhood to expect disaster under such circumstances, he or she then acts out what amounts to a self-fulfilling prophecy. Often the death knell is sounded by a hex or, as in Australia, a simple gesture rife with meaning. Sorcerers may use particular props as media of transmission: African "witchdoctors" have knucklebones, and European witches use carved wooden dolls. Alternatively, the transmission may be direct; in Islamic societies the harbinger of death need only squint the evil eye. Understandably, the legitimacy of many reports of voodoo death, particularly those from the early literature, has been questioned. Often the accounts were based on hearsay, and among those in which the death was actually documented the possibility of poisoning was not ruled out by forensic examination (Clune 1973). Other cases can doubtless be explained by organic illness or the unnoticed intervention of kin or vindictive societal members (Barber 1961). H. D. Eastwell (1982), for example, has suggested that voodoo death among the Aborigines is a purely social phenomenon, in which the victim is deprived of vital nutritional requirements by a kindred that already considers him or her dead (Cawte 1983; Glascock 1983). He notes that the victim of voodoo death is not an unfortunate but benign presence, but rather one who, by definition having crossed into the realm of the spirits, has become an actual threat that must be removed. In the case of the Australian Aborigines, this is precisely what occurs. Weakened by the long ordeal, the victim of sorcery receives no relief even from close relatives. On the contrary, these former supporters actually take away food and water, on the theory that a dead person has no need for either and with the motive, as Eastwell was told, "if real close up finish, take water away so spirit goes" (Eastwell 1982, 14). In the deserts of Australia, where the daytime temperatures average over one hundred degrees Fahrenheit in the shade, death by dehydration may occur in about twenty-four to forty-eight hours (Cawte 1983). This evidence from Australia, of course, does not disprove the existence of death by suggestion; on the contrary, it explains one mechanism by which such a death may occur (Lester 1972). Unfortunately, not all cases of voodoo death are so easily explained as these examples from Australia, where because of a harsh climate a relatively simple act by the kin eliminates the victim's life supports. More usual in cases of voodoo death, but again more enigmatic, are the instances when the victim dies despite succor from his or her family. Although some ethnologists remain skeptical (Barber 1961; Lewis 1977), many ethnographic fieldworkers have consistently maintained that, at least in their particular regions, the accounts had some credibility (Levi-Bruhl, cited in Cannon 1942). After reviewing many reports of voodoo death, Marcel Mauss encouraged all anthropologists to consider the problem of death by suggestion and come up with possible explanations (Mauss 1926). It was physician W. B. Cannon, one of the great physiologists of the first half of the twentieth century and an individual with impeccable scientific credentials, who offered the first telling argument that voodoo death might actually exist (Cannon 1942). No scientist, of course, would suggest that there is a direct causal relationship between, say, the physical act of pointing a hexed doll and the death of an individual. Clearly it had to be the victim's mind that mediated the sorcerer's curse and the fatal outcome. Cannon recognized the element of suggestibility, implicating fear and rage as powerful human emotions deeply rooted in biology, and he cited William James to draw attention to the potentially devastating psychological impact of complete ostracism from one's peers and family. More important, he offered the first suggestion of a physiological mechanism that might allow voodoo death to occur. Cannon noted similarities between the recorded cases of psychogenic death, prompted by a sorcerer's curse, and a number of peculiar cases that he and others had witnessed on the battlefields of Europe during World War I. In the nightmare of despair and death on the western front, certain traumatized but unwounded soldiers inexplicably died of shock, a medical disorder normally brought about by a critical drop in blood pressure due to excessive bleeding. Cannon speculated that individuals terrified by a magic spell suffered, like the soldiers, from an overstimulation of the sympathetic-adrenal system, which in turn produced vasoconstriction and damage to the capillary endothelium of the visceral blood vessels, resulting in loss of blood volume and pressure, and ultimately fatal shock. Fear in other words, could initiate actual physiological changes that quite literally lead to death (Cannon 1942). C. P. Richter expanded the scope of Cannon's study by noting the occurrence of what he termed "sudden and unexplained death" in Western societies, citing examples of individuals who died upon sudden immersion in water or at the sight of blood. He interpreted Cannon's physiological explanation as a state of shock caused by continuous production of adrenaline, which overstimulated the heart and led to death by cardiac systole. However Richter's subsequent laboratory studies with rats under stress indicated that death had occurred due to a slowing down of the heart, not an overstimulation. Autopsies revealed large hearts distended with blood, and he concluded that the laboratory animals had suffered a vagus death due to overstimulation of the parasympathetic nervous system (Richter 1957). Anthropologist T. X. Barber (1961) criticized the conclusions of both Cannon and Richter as premature and questioned whether there were any reported cases of voodoo death that were not based on hearsay. In the last ten years, the subject of voodoo death has resurfaced in anthropological literature after a considerable hiatus, and both the etiology of the phenomenon and its very existence continue to be a matter of debate. The view of the skeptics echoes that of Barber and is best summarized by Gilbert Lewis, who asks "is it really the case that healthy people have died in a day or three days, because they know they were the victims of sorcery? Who has seen this happen with his own eyes? Is there no other explanation but sorcery?" (Lewis 1977, 111). F. J. Clune (1973), in a short communication to the American Anthropologist unsupported by documentation, claimed that reputed cases of voodoo death were actually poisonings. H. D. Eastwell (1982), A. P. Glascock (1983), and John Cawte (1983) suggested that dehydration was the causal mechanism, but this, as pointed out above was merely one explanation; it was emphatically not a repudiation of the phenomenon of voodoo death itself. B. W. Lex, who believes that voodoo death does occur, augmented the earlier physiological explanations of Cannon and Richter with information about neurophysiological research on sensitization, or tuning of the autonomic nervous system. Death by suggestion, she concluded, "is accomplished by the practitioner's manipulation of the autonomic nervous system through the victim's cognitive apprehension of the meaning of witchcraft" (Lex 1974, 822). David Lester (1972), who also accepts the idea of voodoo death emphasized the psychological component in the potential victim's mindset: a sense of helplessness and hopelessness reinforced by social process that, if unrelieved, may lead to death - perhaps, he suggested, by making the individual vulnerable to pathogenic disease. Yet of all the recent ethnological studies, only Lester's mentions the fact that contemporary clinical studies leave little doubt that psychological and emotional factors may precipitate sudden death in Western society (Gomez 1982; Engel 1976). Anthropologists interested in the phenomenon of voodoo death in traditional societies would do well to examine our own medical literature. G. L. Engel (1968, 1971), for example, has documented 170 cases of sudden death mediated by psychological factors and has enumerated the life settings in which they occurred. In a related study W A. Greene investigated 26 instances of sudden death that took place in an industrial population of 44,000. In at least 50 percent of these cases - all of them men - there were identifiable psychological and social factors associated with the time of sudden death. The majority had been severely depressed for a period ranging from a week to several months, and the sudden deaths occurred in settings of acute excitation engendered by circumstances which had precipitated reactions of anxiety or anger. The findings suggested that a "combination of depressive and arousal psychological states or abrupt transition from one state to another may produce disharmonious responses in the hormonal and autonomic nervous systems, as well as central nervous system mediated behavior, which are conducive to sudden death" (Greene et al. 1972, 725). The infrequent but certain occurrence of psychogenic death in Western settings is perhaps best indicated by the outpouring of corroborative letters received by British Medical Journal in 1965, following its publication of one case study of a woman who had died, possibly of fright, after going through routine surgery (Elkington et al. 1965; Barker 1965; Fry 1965; Nixon 1965; Young 1965; Hunter 1965). The actual lethal mechanism to account for instances of psychogenic death remains a matter of debate. Efrain Gomez (1982) lists three conditions that may contribute to a sudden cardiac arrest. The first is an electrical instability of the myocardium, often due to ischemic heart disease. The second is the presence of a strong psychological disturbance such as depression or a sense of entrapment without possible escape, and the third is an emotional catalyst such as fear, anger, or despair. Other authorities have suggested that sudden death results from the cessation of either cardiac or respiratory functions, leading to cerebral anoxia (Davis and Wright 1980). Still others have noted that strong emotions of stress and fear may trigger impulses from the brain, which in turn affect the functioning of the heart through the mediation of the autonomic nervous system (Vaisrub 1959; Wolf 1967). Environmental stress, both psychological and social, can lower the threshold for ventricular fibrillation or provoke malignant ventricular arrhythmias, either of which could lead to sudden cardiac arrest (Lown et al. 1977; Lown et al. 1980). A break in the synchronized and rhythmic contractions of the heart can cause it to abruptly cease beating, bringing about irreversible brain damage (Gomez 1982). Whatever the actual mechanism, there is no doubt that psychological and neurophysiological factors can provoke life-threatening heart attacks, even in the absence of organic heart disease (Lown et al. 1976; Schwartz and Walsh 1971). If we accept that psychological factors can precipitate physiological crises among individuals in Western societies, then there is no reason not to expect the same thing to occur among traditional peoples. As Lester comments: "Sudden and unexplained deaths are common in medically sophisticated countries, and sudden and unexplained deaths are probably common in primitive societies also" (Lester 1972, 389). Indeed, a number of medical authorities have made an explicit comparison between curse-mediated voodoo death and psychogenic death as witnessed in modern hospitals. R. J. W Burrell (1963) cites fifty cases of psychogenic death among South African Bantu who had been cursed. Efrain Gomez and Ninsa Carazos (1981) document the sudden death of one of their patients following a "maldicion" or hex uttered by his mother; postmortem examination, including complete toxicological studies, ruled out the possibility of poison or organic disease. J. L. Mathis presents a case in which a previously healthy adult male developed severe and ultimately fatal asthma following his mother's threatening prophecy. The physicians studying the case believed that the mother's death curse was the "triggering mechanism for the asthmatic attacks", and and they concluded that "fatal psychosomatic conditions can be modifications of the more primitive and direct 'voodoo death'" (Mathis 1964, 104). G. W. Milton (1973) questioned whether the self-willed death, witnessed in modern hospitals, of someone who suffers fatal disease is fundamentally different from the psychogenic death suffered by the recipient of a sorcerer's curse. For example, the diagnosis of terminal cancer by an authoritative medical expert, in the unfamiliar setting of the modern hospital, might adversely affect the course of the illness. As in the case of a sorcerer's curse which can be removed through the intervention of a more powerful healing spell, so the intervention of a higher medical authority, who contradicts the diagnosis of his junior colleague, might result in a demonstrable recovery by the patient (Gomez 1982). By the same token, within the closed belief system of a society that accepts the reality of sorcery, the sorcerer's curse can and does have physiological manifestations. As Barbara Lex suggests: "The extreme fright experienced by the individual who has thus been singled out [by sorcery] can be as fatal as a dose of poison" (Lex 1974, 822). 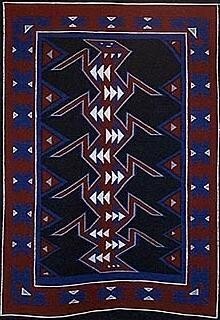 It is clear that the term voodoo death, which has been canonized by the anthropological literature despite its inaccurate and pejorative connotations, should be superseded by the concept of psychogenic death, for the phenomenon appears to occur among many, if not all, human societies. But even the latter term is misleading, because the negative effects of psychological suggestion are not necessarily death - they may result in acute or chronic illness (Gomez 1982; Lachman 1982-83). S. J. Lachman explicitly notes that, just as voodoo death corresponds to formulations of psychosomatic death, so voodoo illness is a form of psychosomatic illness. Cases in which the patient's physical condition has been affected by psychosocial stress, which is caused in turn by the patient's attribution of his or her ailment to hexing or sorcery, appear with some regularity in the medical literature (Golden 1977; Cappannari et al. 1975; Tingling 1967; Wintrob 1973; Snow 1974). Raymond Prince has noted that a curse victim's feelings of panic can precipitate nonlethal psychotic and neurotic disorders as well as loss of appetite, insomnia, nightmares, and hallucinations (cited in Kiev 1972) - conditions which in turn leave the victim vulnerable to the power of suggestion (Lester 1972). Psychosomatic or psychophysiological disorders instigated by emotional stimuli may include ulcerative lesions of the stomach or the duodenum, dilation of the heart, cerebral hemorrhage, arterial aneurysm, neurodermatitis, or functional disorders such as anginal syndrome, hyperhydrosis, thyrotoxicosis, and cardiovascular hypertension (Lachman 1982-83). Interestingly, Gomez (1982) has emphasized that psychogenic illness and/or death is a psychological process that may occur over a matter of days, weeks, or even months. Although the precise mechanisms remain uncertain, the essential explanation makes intuitive sense: if faith can heal, fear can maim or kill. Physicians have backed up with statistical studies something that most people take for granted - that the likelihood of becoming ill or even dying depends, to some extent at least, on one's state of mind. Feelings of depression, hopelessness, or despair somehow create a vulnerable state (Pattison 1974; Rahe et al. 1971; Rahe et al. 1973). Loneliness would hardly seem to be a fatal affliction, yet a disproportionate number of spouses die in the first year after the death of their mates (Parkes et al. 1969; Rees and Lutkins 1967). Psychologists have labeled this the "giving up / given up" complex and have suggested that, when an individual responds thus to a particular life situation, disease and/or death may intervene (Engel 1968, 1971). The "giving up / given up" complex provides a useful conceptual framework for considering psychogenic death or illness within the closed belief system of a society that recognizes the reality of sorcery (Lester 1972). According to this model, the victim of the sorcerer's curse or spell becomes caught in a vicious cycle of belief that indirectly, through the mediation of his or her own emotional response, provokes pronounced physiological changes. The psychological process is easy to imagine. The victim has shared an uncompromised belief, engendered since childhood, that illness or death will befall anyone who transgresses the societal code of behavior; and his or her acceptance of the supernatural power behind the instigator of the curse is equally fixed and unshakable. He or she is doomed to die by a malevolent curse in which everyone involved deeply believes. The victim becomes despondent, anxious, and fearful - feelings that are both recognized and expected by other members of the society who not only believe in sorcery but have a vested interest in maintaining that belief, just as the system itself has its own inherent need for validation. Belief in the power and efficacy of the curse are therefore both sanctioned and encouraged by the group. Family members or neighbors may, in fact, join the victim in wondering how long he or she can expect to survive or in speculating who has caused the curse. Indeed, some might offer preventive magic to counteract the sorcery. But if the victim's condition continues to deteriorate a strange thing happens. A consensus is reached among all concerned that the end is near, and the victims friends and family retreat as from the smell of death. They return, but only to wail and chant over the body of a person Whom they consider already dead. Physically the victim still lives; psychologically he or she is dying; socially he or she is already dead. Anyone who doubts the plausibility of such a process occurring in traditional societies need only spend some time in a modern hospital ward for terminally ill cancer patients. 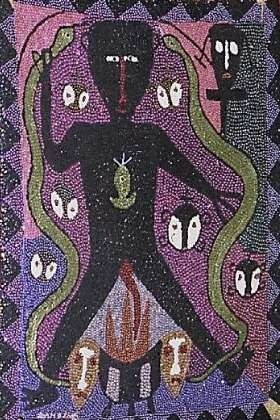 From the foregoing discussion, it appears that the anthropological phenomenon of voodoo illness or death may be incorporated into the established framework of psychosomatic theory, which maintains that the psychological and biologic components of the individual are but two parts of a whole. Strong emotional stimuli, though their sources might differ from culture to culture, may provoke physiological arousal patterns common to all people. The mechanisms that activate the chain of mind, brain, autonomic system, and cardiopulmonary system have yet to be completely identified. Given the clinical evidence, however, it would be querulous to doubt the existence of psychogenic illness and death in both modern and traditional societies. Clearly, the phenomenon occurs, and the process involves a number of complementary factors. In traditional societies, fear of sorcery can initiate physiological changes, particularly if the individual in question is already physically predisposed to those changes, whether genetically or due to an acquired biological weakness (Lachman 1982-83). Certainly, fear makes the victim psychologically vulnerable, and this in turn affects physical health. Neurophysiologists still do not fully understand the process, though the response of family and society must influence the victim's psychological and physical well-being. Although a universal mechanism to account for psychogenic illness and death has not been identified, the basic assumption is clear. As one researcher has put it, the brain has the power to kill or maim the body that bears it (Watson 1974). If his case is believed, the metamorphosis of Clairvius Narcisse from human to zombie represents a very special instance of psychogenic death. A sorcerer's spell initiated a long process that exploited the victim's greatest fears, mobilized the reinforcing beliefs of the community, and finally led to apparent death. According to Vodoun belief, Narcisse really did die, and what was taken from the ground was no longer a human being. I once asked a houngan if a zombie could ever be made whole. He replied in the affirmative, indicating that the ti bon ange could be magically returned. On the other hand, he suggested: "Who is going to ask a zombi savanne [former zombie] to dance?" The point is, of course, that a zombie is socially dead, and it becomes dead in a very specific way. Like many sorcerers around the world the bokor responsible for Narcisse's fate had a prop - in this case an ingenious preparation that amplified the victim's worst fears many times over. In the end, however, even accepting the causal connection with the toxin, it was not a powder that made Narcisse a zombie - it was his own mind. Consider for a moment what he went through. 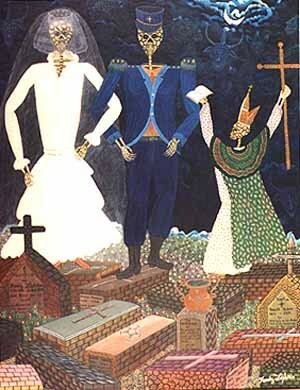 As a Haitian peasant, he had been socialized since childhood to believe in the reality of the living dead. This conviction had been reinforced throughout his life both by a complex body of folklore and, more important, by the direct testimony of friends and family; in Haiti virtually everyone has a vivid zombie tale to tell. In Narcisse's belief, a zombie was a being without will, on the very frontier of the natural world, an entity that could be manifest as either spirit or body. Zombies do not speak, cannot fend for themselves, do not even know their names. Their fate is enslavement. Given the availability of cheap labor, there is no apparent economic incentive to create a force of indentured servants. Instead, because of the colonial history, the concept of enslavement implies that the peasant fears and the zombie suffers a fate that is literally worse than death - the loss of physical liberty that is slavery, and the sacrifice of personal autonomy implied by the loss of identity. For Narcisse, as for all Haitian peasants, the fear is not of being harmed by zombies, but rather of becoming one. It is to prevent such a horrid fate that the relatives of the dead may reluctantly mutilate the corpse if there is any suspicion of foul play - unless of course, the family itself was involved in the zombification. The full circumstances of Narcisse's reputed death in 1962 may never surface. Certain issues, however, have come to light. At the time of his demise, Narcisse was involved in a serious dispute with other members of his family over land. Moreover, Clairvius had done well financially but showed no willingness to share his earnings with his family. Once, according to his sister's testimony, his brother Magrim sought a loan, which Narcisse categorically refused. An intense argument followed, which culminated in Magrim striking Clairvius in the leg with a log, while Clairvius responded by hurling stones. Both of them ended up in jail. According to the other family members and neighbors interviewed between 1982 and 1984, this was but one example of many disputes between Clairvius and his siblings. Apparently Clairvius did not antagonize just his family. He also compromised innumerable women, scattering children to all corners of the Artibonite Valley. For none of these did he accept responsibility, nor did he build houses for the various mothers. As a result, he approached middle age with few financial burdens and was therefore free to advance further than his more responsible peers. Narcisse had profited at the expense of his community, and in all likelihood-according to the opinion of his eldest sister, Angelina - it was one of the aggrieved members of that community, probably a mistress, who sold him to the bokor. Narcisse himself insists that a brother betrayed him. Whatever the cause of Clairvius's demise, the family lost no time taking over his fields, which are still worked by his sisters today. Although Clairvius has made a claim for his land in the national courts, his sisters have absolutely no intention of releasing anything to him. As far as they are concerned, Clairvius remains a dead man, a spirit that should never have returned the village. In fact, the first member of the family to recognize him when he appeared in the L'Estere market in 1980 sent for Angelina and then told Clairvius to go away. Another sister arrived from the lakou and offered Clairvius money but also ordered him to leave the village. By then a large crowd had gathered, and the police arrived to take him to the protection of the government jail. To say the least, his family's reception was neither sympathetic nor cordial, though none of them expressed doubt that the man was their long-departed brother. The testimony of his family suggests that their relationship with him was no more amiable in 1962. At that time, not only did Narcisse believe in zombies, but he undoubtedly was aware of how and why they were created. When his world began to close in on him, he was already personally isolated. Within his lakou he had been ostracized because of his antisocial behavior; within his own family he was actively engaged in a dispute with his brother over the right to sell heritable land. Eventually, by his own account, it was his own brother who sold him to a bokor. Yet there is something amiss in his testimony . After all, had Narcisse been in right, and had he been zombified by his adversary without the support of the community, it is difficult to imagine that the brother would have been tolerated in that community for close to twenty years afterward. But in fact the brother was, and even today Narcisse is not. It is probable that, at the time of his demise, Clairvius Narcisse had support from neither his immediate society nor his kin; his closest relatives may have been his greatest enemies. And because family members were involved, gossip and rumors undoubtedly took their toll, especially when Narcisse began to suffer physical symptoms that he had never before experienced. According to his sister, he was ill for some time, perhaps a year. Then, by his own testimony, he was taken before the basin, where "they prick the skin and call the spirit and the water changes into blood". A cousin also referred to the tribunal that had judged Clairvius; Narcisse himself called those responsible for his fate "masters of the land, and they do as they please". Clairvius Narcisse knew for some time that he had been the victim of sorcery. But following his exposure at the basin his symptoms got worse and worse. He consulted houngan, but they did nothing. By then desperate, he entered the alien environment of the Albert Schweitzer Hospital. His condition deteriorated rapidly, and then something even more extraordinary occurred. I have discussed above the devastating impact that social death has on a vicim of sorcery. The zombie model takes this one step further. Narcisse was actually pronounced dead in a hospital by Western-trained physicians. Even more incredible, from the known action of the toxin in the poison and from his own testimony, there is reason to believe that he remained conscious for much of the time. He may actually have heard himself pronounced dead. He claimed to have been aware of his sister's weeping and to have heard the nurses discussing the case. Like the Japanese victim of tetrodotoxin, he strove desperately to communicate, but the paralytic poison made communication impossible. Then Narcisse entered another realm. Having caused such a dramatic, virtually complete reduction in metabolic rate, the poison took its victim quite literally to the edge of death. Indeed, it very nearly killed him, as it may have killed many others. His symptoms remained the same, yet at one point there seems to have been a qualitative change. Perhaps not surprisingly, the advanced symptoms of known tetrodotoxin poisoning merge with those of what Western physicians have termed the autoscopic near-death experience (NDE) (Sabom 1982). Recall once again Narcisse's description of what happened after his supposed death. He sensed that his soul was about to take a great journey; and it did travel, he insisted, making great passages over the land, timeless passages, immaterial yet powerfully real. His travels were multidimensional, yet they always returned him to the grave site. His notion of time was lost. His tomb, he maintained was the only axis of his existence. Peculiar things happen to people when they die, if we believe the word of those who come back. Those who have been close to death speak of an ineffable dimension where all intuitive sense of time is lost. Like a dreamscape it is timeless, but unlike a dream it is impossibly real, a place of acute awareness wherein the process of death is acknowledged as something positive, calm and even beautiful. Like Clairvius Narcisse, virtually every medical patient who has been to the edge of death experiences a profound separation between the material body and an invisible, nonmaterial aspect, one that often hovers above the body; but with nearly all cases the patient identifies not with the body, but with the spirit. An elderly woman who nearly died of severe complications following surgery in a Chicago hospital wrote her physician, "I was light, airy, and felt transparent" (Sabom 1982, 21). Often patients distinctly remember floating above their bodies, looking down at their material selves. A cardiac patient noted: "I was going up slowly, like floating.... I was looking from up, down... they were working the hell out of me" (Sabom 1982, 28). Also typical is the amazement of a construction worker from Georgia following cardial arrest: "I recognized me lying there.... [It was] like looking at a dead worm or something. I didn't have any desire to go back to it" (Sabom 1982, 28). Sometimes those who endure autoscopic near-death experiences recall conversations between attending physicians and nurses. Often they describe their frustration at not being able to communicate with others physically present at their bedside. "I tried to say something", one patient remembered, "but she [the nurse] didn't say anything.... She was like looking at a movie screen that can't talk back and that doesn't register you're there. I was real and she was unreal. That's the way I felt" (Sabom 1982, 32). Certain survivors describe an extraordinary ability to "travel" through space and time. "It was just a thought process", one explains. "I felt like I could have thought myself anywhere I wanted to be instantly. I could do what I wanted to... it's realer than here, really" (Sabom 1982, 34). Those who go through a near-death experience and survive share one thing in common: they all retain a distinct awareness that at one point their immaterial aspect returned to its physical body. It was at this moment, many remember, that they regained consciousness. In hospital patients, this often occurs instantaneously, coinciding with a particular resuscitative procedure. A cardiac patient responded to electric shock: "She [the nurse] picked up them shocker things.... I seen my body flop like that... it seemed like I was up here and it grabbed me and my body, and forced it back, pushed it back" (Sabom 1982, 35). Another experience ended with the sudden arrival of a loved one. The patient explained, "I was up at the ceiling.... Then when someone in the family came to the door and called... I was instantaneously back in my body" (Sabom 1982, 35). This sudden return to the body is what Clairvius Narcisse remembers happening. One moment he was floating above his tomb, and the next he heard someone call out. But, if his testimony is to be believed, the voice came not from a loved one but from the bokor, and when he returned to his body it was not in a hospital bed, it was in a coffin. And for Narcisse, the ordeal was only beginning. Completely traumatized by the experience, he was taken from the ground and severely beaten. He was led before the cross of Baron Samedi and baptized with a new name. Then, or perhaps the next morning, he was forced to consume a paste containing a potent dose of concombre zombi (Datura stramonium), a psychoactive plant that would have induced a state of psychotic delirium marked by confusion, disorientation, and subsequent amnesia. During the course of that intoxication he was led away to an isolated farm, where he began a new existence. There, he was kept in isolation, fed a physically debilitating, salt-free diet, and perhaps made to labor in the tropical heat. The creation of a zombie is a complex process that mobilizes many, if not all, the elements reported by the ethnological literature on "voodoo" or psychogenic death. First, there exists a matrix of belief deeply rooted in the collective consciousness of the Haitian peasant society, and this belief defines the very texture of an individual's conception of self and of his or her place in the order of the universe. Acceptance of these beliefs (e. g., the power of sorcery) is strong and uncritical, and it is constantly reinforced by the group. The belief system's inherent need for validation and the purpose of zombification itself create a form of social death for the victim, and this in turn has physical ramifications. The sorcerer's spell marshalls a wide range of potent psychological forces that, depending on the idiosyncratic predisposition of the victim, may affect physiological processes. Ostracism from the group produces an increased psychological sensitivity, which in turn heightens awareness of any deterioration in his or her physical well-being. At some point the victim is poisoned by a preparation which, by permitting the retention of consciousness while bringing on the outward signs of death actually allows the individual to learn that he or she is dead. Taught since childhood to believe in zombies and to fear becoming one, the victim is interred in a coffin, conscious but quite helpless. Once taken from the grave, the zombie's fate is sealed because, within the closed system of belief that is his or her world, there is no other way.